Ice Maker, Service Boat, Canoe, Fishing Eq. 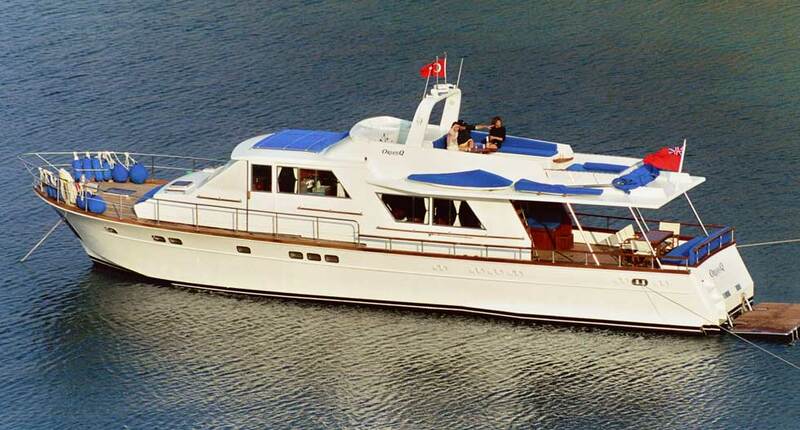 Ayşe Emre is a 28 meter classic gulet design, built for chartering in 1997. She features 6 air conditioned cabins with en suite WC-Shower, providing comfortable accommodation for up to 12 guests. She has three cabins with one single & one double bed, one cabin with two twin beds and two cabins with double beds. The captain has his own cabin with WC & Shower. The separate crew quarters with WC & Shower is shared by the three crew members.